Phones continue to get larger and larger with each new version that comes out. They also seem to be getting slimmer and slimmer. Of course, we want our phones to be slim to make it easy to carry and we want larger screens so we can watch videos and see pictures better. However, the increase in size and thinness can contribute to accidents like dropping your phone and cracking the screen. Having your phone slip from your hands onto your face when you’re laying down. It’s annoying, frustrating, and if you accidentally break your phone by dropping it, it becomes expensive. With Ungrip, you won’t need to worry about that anymore! Ungrip makes your phone feel secure even when you’re not gripping it at all, allowing you to take all the pictures and videos, watch or scroll through feeds, and more without dropping your phone. Ungrip is ultra small and weighs practically nothing so your phone won’t have any added weight to it. The Ungrip also comes in a variety of different colors so you can pick a few different options and change them out depending on your mood or the season or whatever. 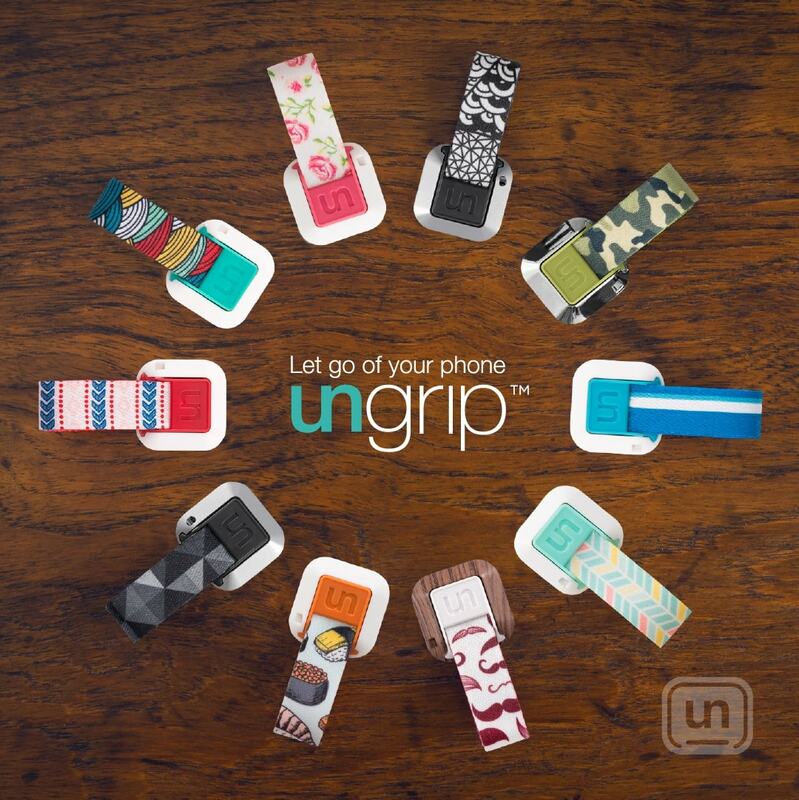 You can grip your phone using Ungrip in a multitude of different ways. It allows a degree of freedom that’s so effective, you’ll wonder how you ever lived without Ungrip before.